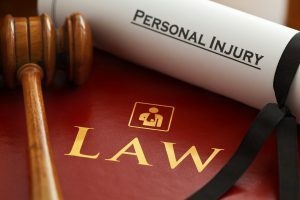 If you’ve been injured in your accident, you will soon discover that there is a lot of paperwork to keep track of and phone calls to make. Your lawyer can help you manage this process by being the primary point of contact. He or she will also manage all of the paperwork, and help you carefully document your claim in order to prove your losses. Your lawyer can also help manage the bills that you may not have the ability to pay while everything gets sorted out. Your lawyer will also provide guidance regarding how the claim should be handled. Insurance companies can be quite aggressive and pressure you to settle your claim right away. Your lawyer will give you advice as to whether their offer is fair, and when is the appropriate time to settle. An experienced attorney may even be able to refer you to the right doctors and therapists in order to receive the best possible care. The lawyers at Slappey & Sadd have been helping accident victims across the state of Georgia since 1992. We’ll work with you every step of the way to make sure you get the compensation you’re entitled to, and if we don’t win, you pay no fee. If you’d like a free consultation, contact us today – call us at 404-255-6677 or email us via our online contact form.